While choosing a family travel insurance, try to find out the exact amount of coverage and the heads under which these amounts are covered. Travel insurance policies do not cover pre-existing medical conditions except for a few that cover life threatening medical conditions. Travelling abroad is expensive. A medical emergency or loss of baggage only add to costs. A family travel insurance policy thus covers these risks at a nominal price. It is mandatory to buy such a policy while visiting certain countries. These plans come in different variants— for single trips, multiple trips or year-long travel. If a single trip plan is chosen, it is a good idea to choose a policy duration which exceeds the trip duration, just in case there are any unforseen delays while travelling. While choosing a policy, find out the exact amount covered and the heads under which these amounts are covered. Policies may offer benefits like emergency cash advance. It is important to declare pre-existing diseases, if any, at the time of taking the policy. 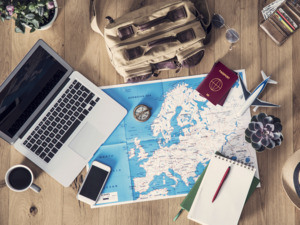 Travel insurance policies typically do not cover pre-existing medical conditions except for a few that cover life threatening medical conditions. Along with the coverage and claim limits, it is important to check the deductible amount from the cover in case of a claim. The amount mentioned as “deductible” is to be paid by the insured before the insurance company pays any amount under the claim. Airline booking portals provide travel insurance cover as an add-on. One can also use an insurance aggregator website to view comparable quotes or visit the insurance company website. The claimant has to inform the insurer at the earliest and fi ll up the claim form and add supporting documents. The filled form needs to be submitted to the insurer to initiate the claim process. 1. It is a good idea to check with an existing insurance provider for a better quote on travel insurance policy. 2. Premium rates differ depending upon the country to be travelled to, period of travel and age of the insured.